WHO IS THE ORACLE AND WHAT SETS HER APART FROM OTHERS? My clients include ordinary people mixed with media billionaires, scholars, entrepreneurs, disenfranchised multi-millionaires and the like. Are you one of my missing links? If your answer to the above question is a “yes” and my words resound with you, there is a good chance that God wants our paths to cross so that he can help me help you to help humanity fulfill many of his promises. Call me today at (305) 608-5752 so that I can help you on your path! Palm Reading, Chakra Alignment, E.S.P. 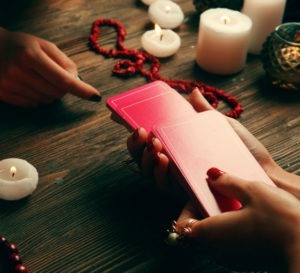 Psychic Readings, Session Length, Tarot Card Reading Online, Handwriting Analysis, Session Length, Astrology Charts, Past Life Regression, Additional Services & Advice.